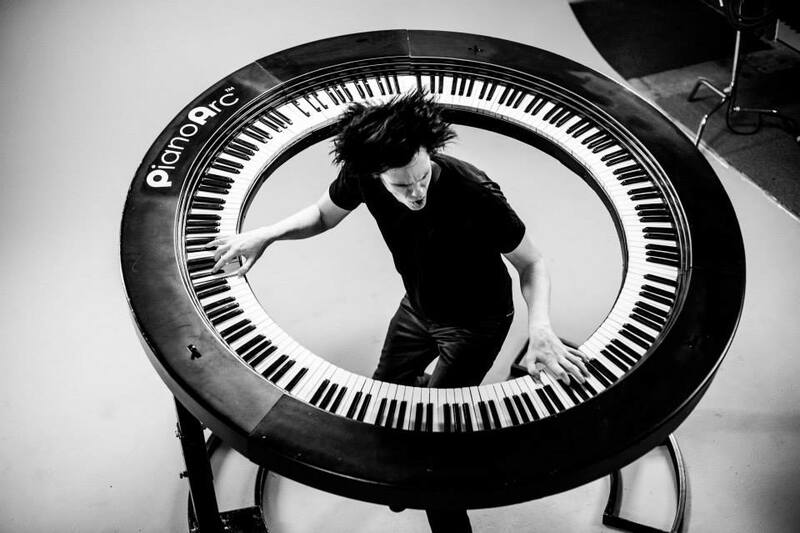 PianoArc is a provider of astonishingly creative keyboard designs. We’ve re-imagined the world of keyboard performance and deliver groundbreaking, performance-grade keyboard creations. As a design and builder of these “Exotic” keyboards we also welcome custom requests. Whether it’s the finish, the stand design, or the control features – or any aspect of keyboard manufacture, we strive to accommodate the demands of the world’s top players and venues. 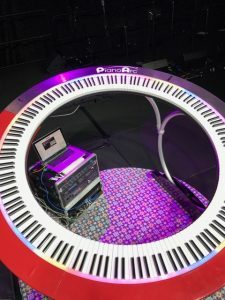 We designed and built the world’s first circular keyboard controller, the “Brockettship”, used by Brockett Parsons on the Lady Gaga Born This Way 2012-2013 and the 2013-2014 ArtPop tours. The PianoArc “Brockettship” has performed in across the world, starting in Seoul, South Korea in May 2012 and is currently in residence at the Rose Lane Studios in Santa Barbara California. 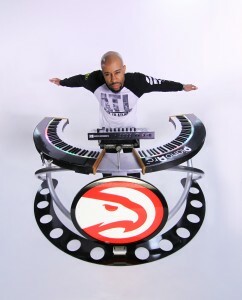 The sports world took notice in 2015 – and the media-savvy Atlanta Hawks pro basketball team took delivery of a customized semi circle – we call it the Dual Wing in 2016. The in-stadium musician, Sir Foster, brings a high-energy performance to home games where the visual and the musical ignite. In 2016 we released updates to both our entire physical and electronic design that deliver even more on-stage power, visual excitement and options. PianoArc’s cameo appearance during Superbowl LI captured Brockett Parsons performance on the Brock360 and brought our server to a halt – something we’re sheepishly proud of – we were honored at the magnitude of inquiry from around the world. At PianoArc, we’re a team of keyboardists, designers, technicians and passionate believers in the possible. We are pioneers and performers, balancing musicality with a touch of mad science. We are based in the Greater Boston area with engineering and design in San Diego. For product information, please checkout our Info Request Form.